Wings Over America is primarily composed of members of the Collective Unconscious, a St Cloud band who brought you the Beatles "Abbey Road", the Beach Boys "Pet Sounds", Simon and Garfunkel's "Bridge Over Troubled Water", CSNY's "Deja Vu" and The Band's "The Last Waltz". Band members are Stacy Bauer (vocals), Jeff Engholm (bass and vocals), Muggsy Lauer (guitar and vocals), Amy Grinsteiner (keys), Mark Hasbrouck (guitar), Duffy Eisenshenk (drums), Mike Anderson (saxes), Ken Vork (trombone), Gretchen Vork (trumpet and horn), and Dwight Nelson (trumpet). You may have also seen them teamed up with the Fabulous Armadillos performing "Takin It To The Limit: A Tribute to the Music of the Eagles" and "A Doobie Brothers Tribute". 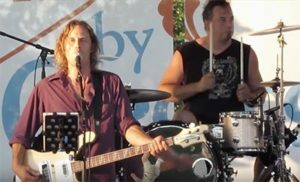 Other members come from "Blimp", a Led Zeppelin tribute band that has been rocking Central Minnesota Stages for over 15 years. Every single one of these musicians is a professional in their own right, with an impressive array of music making with a "who's who" in Minnesota Music. Wings over America reached number 1 on the Billboard Charts in 1977 and was the fifth Wings album in a row to achieve that status. After the Beatles and a few solo Paul McCartney records, Wings (often referred to as "Paul McCartney and Wings" was formed in 1971 with his wife Linda, and Moody Blues' guitarist Denny Laine. Several Beatles tunes (I've Just Seen a Face, Blackbird, Yesterday, The Long and Winding Road) are included in the set, along with some Moody Blues (Go Now) and McCartney solo tunes (Bluebird, Uncle Albert). The show becomes a great retrospective of McCartney's career, and is a celebration of one of the most celebrated careers in the history of pop and rock music. Tickets are $32 in advance and $36 at the door.